When served, it can tinker with sour cream and sprinkle with grated cheese to taste! Chop onions and fry in butter easily. 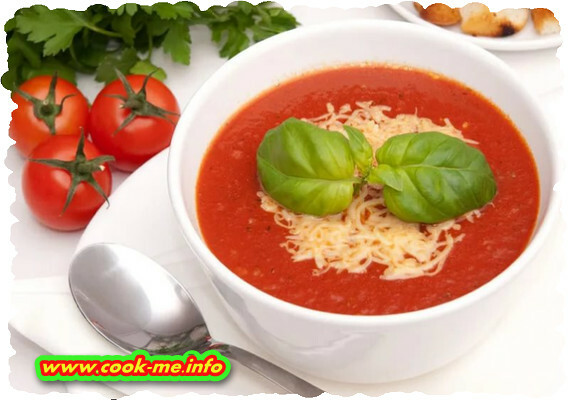 Add the sliced ​​tomatoes, a little water and cook together for 10-15 minutes, then take the pot aside and pass the mixture through a sieve. Separately, boil rice in water and when ready drain and mix with puree. Fits salt and pepper, simmer a little, put green herbs and the boat on fire.